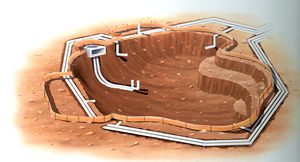 The schedule 40 PVC piping will be buried below your excavated pool forms to ensure long-term integrity. Easy to operate, and labeled for simplicity. Water flow is increased by the size of the pump and by the diameter of the piping. 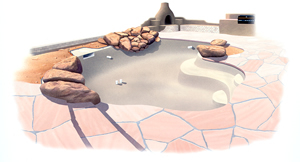 We routinely bid against undersized systems that will not provide enough water for good pool circulation, spa action or water feature needs. Compare these features and you will get an idea of a pool company’s desire for long term customer satisfaction. 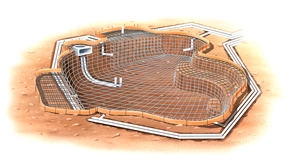 Steel rebar is placed throughout your pool on a steel grid pattern. The steel reinforces the tensile strength of your pool’s concrete shell. The vast majority of pool companies use standardized steel specifications driven with the belief that the least expensive is the best. 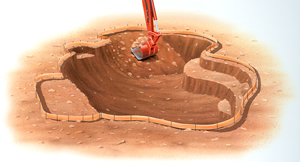 Our steel specifications will be developed and engineered for your particular pool, in your particular soil and with the unique load and stress of your pool design. 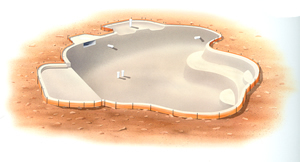 Our one-pool-at-a-time engineering generates steel plans that will have a grid patterns that are typically 10” apart. Under boulders, near the patio or fences, and in other stress areas, we will place steel on 5” grids. We have never had a structural failure due to too little steel. 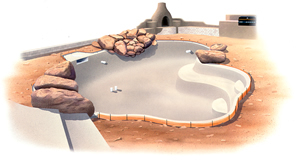 This includes hundreds of pools on hillsides and with features such as disappearing edges. We will not sacrifice long term durability and peace of mind to save a few dollars! Standard Features include a full –sized pool light with remote control abilities. 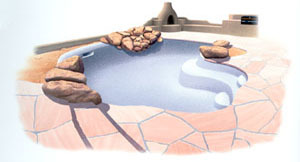 A control panel will be placed at the equipment for daily, effortless pool system control. Many optional lighting and spa control systems are available to meet your budget and needs.